What is the Advantages and Disadvantages of Spotify? Spotify is one of the most popular music streaming services. 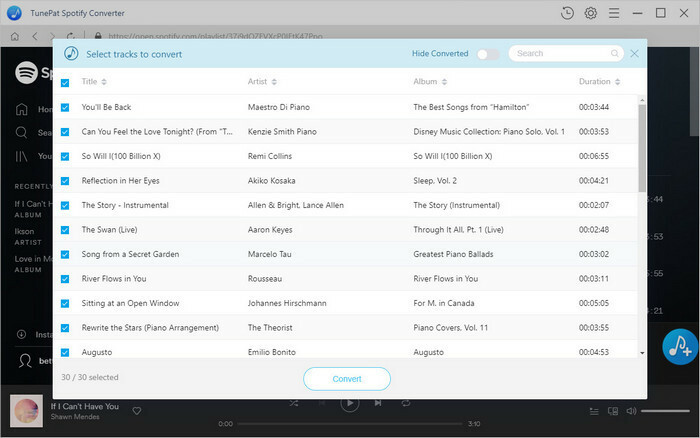 With it, you can play tracks from the web instead of your personal hard drive or phone. Users of the service simply need to register to have access to one of the biggest-ever collections of music. So far, Spotify has been occupied significant proportion of music market with up to about 100 million premium subscribers worldwide. As other streaming services like Apple Music and Google Music grow up gradually, people also have more choices. Which poses the questions: Why did you choose Spotify? What makes Spotify different? What is the pros and cons of Spotify? Is it worth upgrading Spotify Premium? 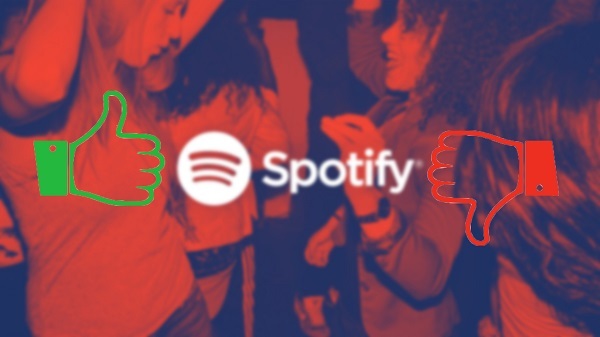 If you have the same problem, yet still cannot decide, the following article will let you have a detailed understanding of the advantages and disadvantages of Spotify. Easy to use. To get started with Spotify, all you have to do is register for a free account. Initially, the service was by invitation only to help the company control demand for its product. But thanks to a new a partnership with Facebook, you can start using Spotify with your Facebook username. Spotify also enables users to create their own playlists, which can easily be found by using the search feature. Compatibility. Both Spotify Free users and Premium subscription members can access it using the Spotify apps for Windows, Mac, and iPhone or Android device, along with the Spotify web app available across all platforms. Spotify offers free tier. You can use Spotify for free completely. On the free plan, playlist, album, or artist can be played in shuffle mode and you can skip up to six times per hour. You can access the free version using the smartphone app, desktop software or website. Download music and podcasts. Upgrading to Spotify Premium allows you to save up to 10,000 songs each on five different devices. You can save any album or playlist for offline listening. Besides, with Premium, you don't see any ads at all. You can also listen to any song anytime on your phone the same way that you listen on your desktop. Since you're not limited to shuffling anymore, you can skip tracks, access Radio, and see everything the app has to offer. High quality kept. By default, Spotify Client runs at 160kbps on desktop for free listeners; Premium allows you to up this to 320kbps, which is about the best compression rate you'll actually notice. Sharing Music Experience. Listening on Spotify can be a social experience. If you've connected Spotify to your Facebook account, then friends and family will be able to see what you're listening to and you can share your favorite songs with them. Lack own lyrics feature. Spotify removed its own lyrics feature. This is very inconvenient for the people who love reading the lyrics when listening to the music. You can use Genius' Behind the Lyrics if you want to know the meaning of the lyrics, and you can also use Sound Hound to read see the lyrics of your favorite songs. Available in the limited number of countries. One of the biggest flaws of many video and music streaming services is the fact they are available in a limited number of countries, including Spotify. To see the lists of countries in which Spotify is available, click on this link to see the country they live in on the list can sign up for Spotify. Price is too high. If you upgrade to the paid services, you'll be paying every month regardless of whether you use the service or not. At $120 per year for the Premium service, that's roughly 10 to 12 albums you could buy from a vendor and actually own, instead of pushing money into Spotify's service, from which you basically rent your music (unless you decide to buy tracks from the company). Limitations of use. When using the mobile app with a free account, you can listen to any songs in any order with unlimited track skips as long as it appears on one of the 15 personalized playlists chosen for you by Spotify’s machine learning algorithms. 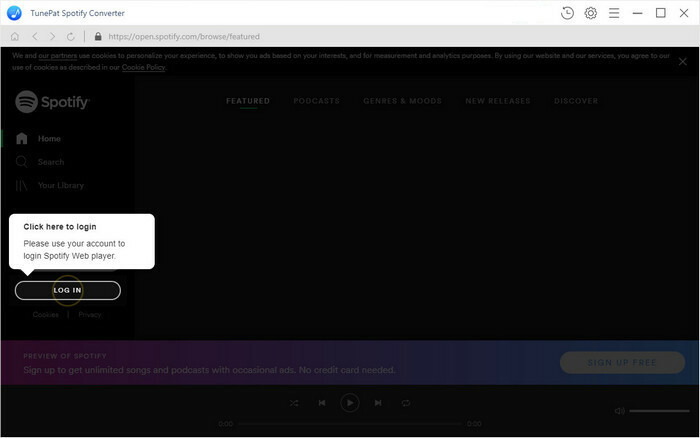 After you upgraded to the Premium services, you can stream a whole playlist or the songs section (only 3,333 songs) for offline use, but there is no way to download a single song. As soon as your premium expires, you will not have access to any offline content you downloaded. Above to show that the main advantages and disadvantages of Spotify. Hopefully, you're now more informed and better able to make a decision about whether the service is right for you. As we all know, you can download music for offline playback with Premium. But if you only have Spotify Free account and want to download single track or playlists from Spotify, what should you do? Here is a professional Spotify Downloader - TunePat Spotify Converter highly recommended for you. TunePat enables you to download tracks, playlists and albums from Spotify and convert them to MP3, AAC, FLAC or WAV files with high output quality kept. Moreover, this program is apply to both Spotify Premium and Spotify Free users. 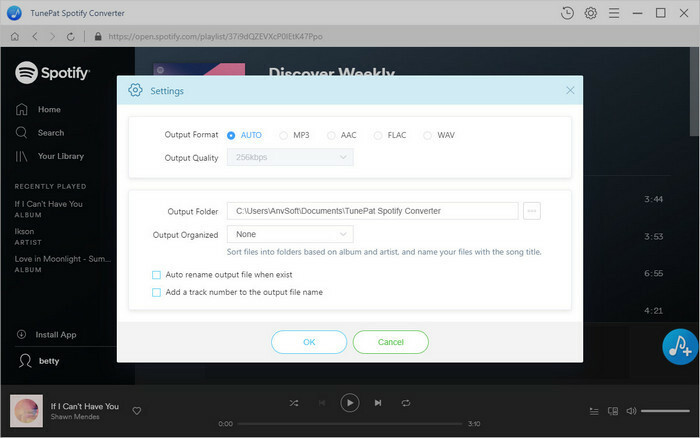 Now we will show you how to easily download Spotify music without Premium at up to 10X speed by using TunePat Spotify Converter for Windows. Install and launch TunePat Spotify Converter on your computer, you will see a succinct and expressive user interface. Different from other similar products, you don't have to install the Spotify Client, just log in your Spotify account, you can access Spotify playlists you created, or discover new music you want to convert. You can click gear icon on the toolbar to choose output format as you like. TunePat supports many output formats, including MP3, AAC, WAV and FLAC, you can select either of them. You can also set Output quality, Output Folder, Output Organized by Album or Artist according to your personal needs. Browse songs in playlist, Album or Artist, the Add button will automatically appear on the toolbar. Now you can select the songs you want to convert. 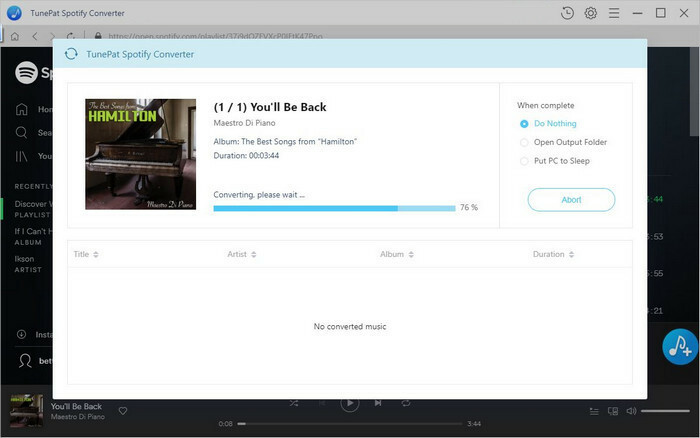 When everything was ready, simply click Convert button, the Spotify music downloading process will begin automatically. After the conversion finished, you can locate the downloaded Spotify music in the history folder. Now you can enjoy the downloaded Spotify music without any limitation. With TunePat Spotify Converter, you can download Spotify tracks to MP3 format with up to 10X faster speed. What are you waiting for? Download a free trial version and have a try by yourself.